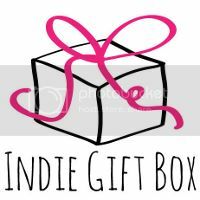 Indie Gift Box – have you heard of them? I discovered this little gem earlier this year. This small company is dedicated to promoting and cultivating small handmade businesses. Each month they curate a selection of lovely items from independent artists and put together about 100 boxes available for purchase and delivery right to your door. Some neat features. There is no monthly commitment, it’s not a subscription service. Monthly boxes have a release date and are available while supplies last. Each month has a theme. Take a look at some past boxes here. I took a chance and submitted an application to have one of my products from Original Greetings by Sarah featured. And guess what, they accepted me! I am so excited to be a part of this awesome project. The October box is “The Sweet Homebody”. I’m in very good company this month, check out these other artists. Can’t wait to see what they include in the box. Have I peaked your interest? I promise I have something very special in this box but I’m keeping it under wraps. Shipping: $5.50 to the United States, $15 to Canada and $22 to all other international destinations. All boxes will be shipped via First Class USPS mail.